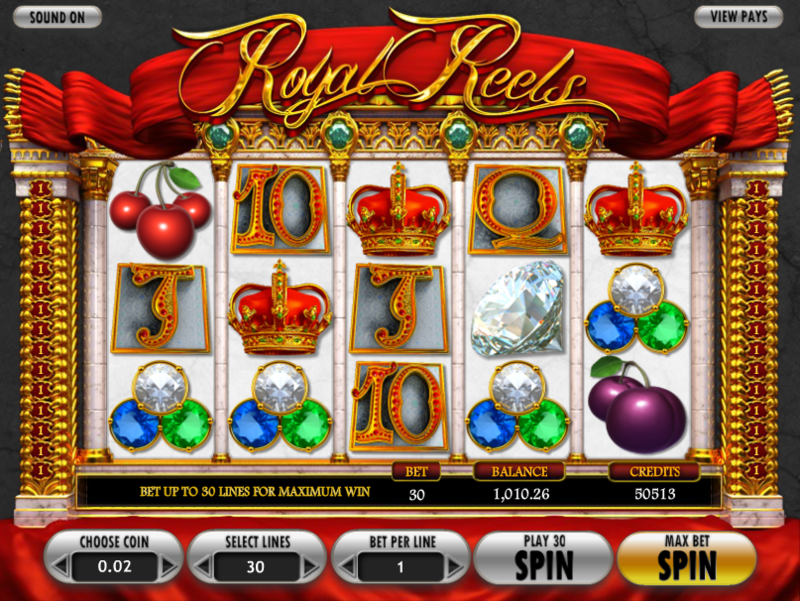 Some online slots are aspirational in nature and we’d all probably like to have a little bit more money and perhaps a bigger house; Royal Reels dangles a regal carrot in front of us and it’s one we’ll never reach – joining the ranks of a royal family. It’s developed by Betsoft and you can check out all the essential details below. 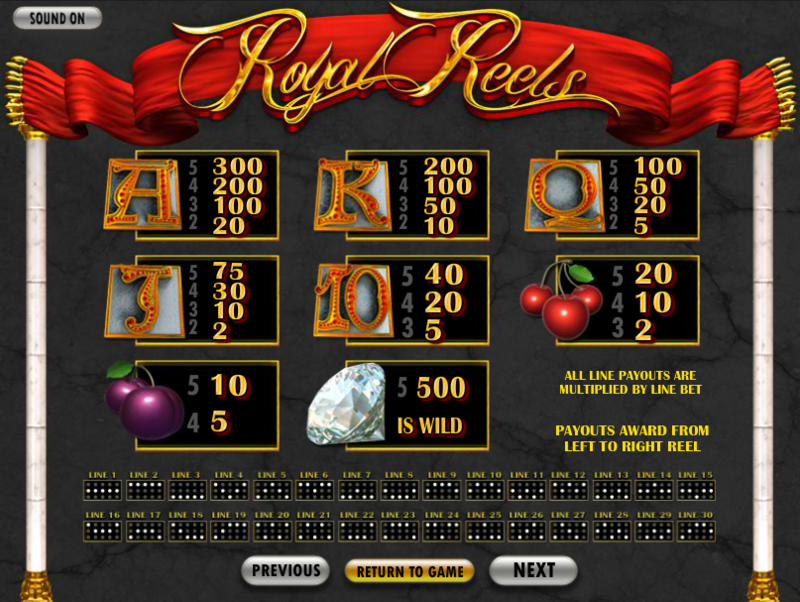 Royal Reels is a five reel slot with three rows and up to thirty paylines; on either side of those reels we have some amazingly ornate golden and marble pillars while up above there’s a plush red curtain with gold trimmings. The soundtrack combines dramatic music with traditional slot machine noises to satisfying effect. The big diamond is wild and will substitute for all other symbols except the two bonus icons – the crown and the group of gemstones. This is triggered by landing three or more of the crown bonus symbols on an active payline starting from the left hand side; you will now see five crowns displayed and all you have to do is pick one for a prize award after which you are transported back to the base game. This is another picking round and it’s triggered by landing three or more of the gemstone bonus symbols on an active payline starting from the left hand side. All you need to do is select one of those gemstone icons for an instant prize. Royal Reels is a nice enough game to play with some plush graphics and animations; the bonus features could probably do with a little more invention but this is worth a go.